A proposal, Amendment 40, is afloat for setting the red snapper season length for this coming year. 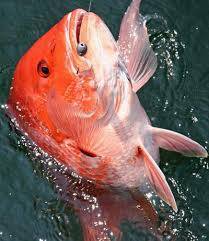 The proposal as it is now written suggests dividing the annual quota of red snapper allowed to recreational anglers between those fishing from private boats and those fishing aboard federally permitted charter boats. The number of anglers fishing from private boats is far higher than those fishing from charter boats. Based on 2013 numbers, anglers in private boats would land their portion of the allotment in as little as one day, whereas anglers fishing from charter boats take around 33 days to land their percent of the recreational quota. Under the proposal private vessels would be allowed to take 57.7 percent of the annual red snapper quota designated for the recreational fishery. The remaining 42.3 percent would go to anglers fishing on federally permitted for-hire boats. Under Amendment 40 quotas would be set on how long it takes for the two types of fisheries to fill their quotas. Private boat anglers could have a season of maybe nine days longer than last year, or it could be shorter. Anglers fishing from a charter boat might have an opportunity to fish 30-35 days, or a season the same length as the private boat fishermen. The proposed amendment has been published in the Federal Register and open for public comment through March 17.